There is a clear emerging trend in the Australian market away from mainstream black tea to more specialist offerings. Australians’ choices show more discerning palates and product knowledge. This is being driven by marketing and training. Black tea consumption fell overall in the past 12 months, while specialty black teas sales grew by 4%. 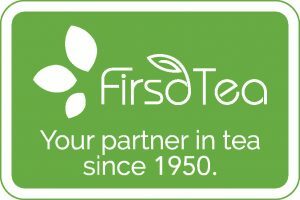 Green tea, fruit teas, herbal tisanes and black specialty teas are the fastest growing categories. The wellness /functional segment of herbal teas has increased at the highest rate, with an estimated CAGR of 7%. By world standards Australia ranks approximately 55 for per capita tea consumption. Only small amounts of tea are produced compared to what Australian’s consume. Imports amount to 97% of consumption. The tea producing areas are in South West Victoria, Northern New South Wales, Tasmania, and Western Australia. They lack the capacity to meet domestic demand and are lagging in specialty teas, since all tea harvested in Australia is machine cut in some form due to the high labor costs. The total consumer market for 2018 was almost exactly $500 million. Growth is estimated to be just under 2% per annum. Sales in volumes have remained, with little variation; 2018 figures are exactly the same as for 2010: 14.2 million kilograms. Tea processing at Arakai tea factory. Almost all the tea consumed in Australia is imported. India is the largest supplier (230 metric tons), followed by Sri Lanka (171)) and Indonesia (137). By comparison only a few minor specialty teas were imported from Japan. The sources of imports reflect the established historical preference of Australians for breakfast teas in the English style. The older generation are most likely to purchase lower grade black teas from supermarkets and in tea bag form. 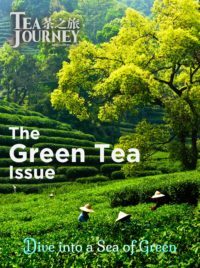 The younger generation are increasing the interest in green teas and wellness teas. Coffee shops and coffee roasters see this as their own opportunity to increase the quality of tea and this is helping to expand the specialty market. This year an Australian company received an Australian government grant for the establishment of a tea plantation aimed at bringing a new business model. 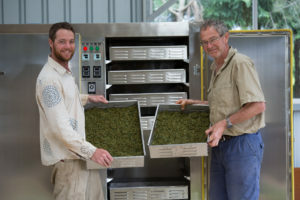 The Australian Green Tea Cooperative hopes that this new venture will provide a sustainable source of high quality green tea as well as job opportunities on the northern New South Wales central coast of Australia. Nucifora plantation produces more than a million kilos of black tea per year is in the tropical area of far north Queensland and borders Nerada plantation. Nerada plantation is well-established and the largest tea producer in Australia. 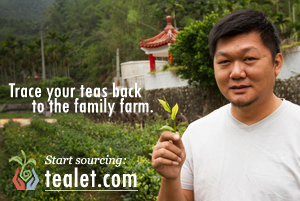 It covers over 1,000 acres of tea and delivers more than 6 million kilos of fresh tea leaves for processing per year. These leaves are processed into 1.5 million kilos of black tea. Arakai Estate is in Bellthorpe, Queensland. This award-winning estate uses Taiwanese methods to produce different flushes of green and black tea. In Northern New South Wales, Madura tea estate cultivates 250,000 tea bushes and produces mainly black tea. This is often blended with Sri Lankan black teas to produce Madura tea, a well-known label in supermarkets in Australia. In South West Victoria, Two Rivers tea garden and the Alpine Tea Company both produce green tea for ITOEN, a large Japanese tea company. The tea is a sencha, most of which is exported to Japan. Daintree Tea Company is in the heart of Daintree wilderness and rainforest area in North Queensland and produces a rich full bodied, black tea. Dry Ideas is in Tasmania. It is the most southern tea plantation in the world and the oldest commercial grower and processor of Japanese tea varietals in Australia. DR Gordon Brown and his wife Jane have a wealth of knowledge in agriculture and are always trying new ideas. While production is very small, Dry Ideas is attracting positive press coverage and is seen as a high potential innovator. Overall, almost all the tea produced in Australia is green tea. Most is exported to Japan. The country imports about 97% of teas consumed. Australia has a very strong specialty coffee industry which influences the younger generation but with the introduction of tea based RTD drinks the tea industry is gathering some positive momentum. By far the most outstanding success in Australia’s tea market has been T2. This retailer has been a distinctive success in global expansion, growing from 40 to over 100 stores since 2013, with the UK a core target. The focus is firmly on the tea experience, using design, décor and ambience to build a new generation of tea lovers rather than serve the existing one. This seems to be the major direction for Australian owned tea companies to develop a foundation for growth in a static overall market.